A certain 10-time champion continues his quest, while giants collide on Court Suzanne-Lenglen and a 5’7″ Argentine eyes another Grand Slam breakthrough. It’s all happening on Day 9 at Roland Garros. The quest for La Undécima rolls on. Nadal blasted into the Round of 16 without dropping a set and has endured little resistance thus far. But that could all change against Germany’s unseeded star Maximilian Marterer, who is hoping his fairytale run on the terre battue has another moment of magic in it. While Nadal will certainly be the favourite as they take to Court Philippe-Chatrier, Marterer will be eager to carry the momentum from his second-round upset of Denis Shapovalov and dominant display against Jurgen Zopp on Saturday. Having never won a Grand Slam match entering the year, the 22-year-old followed up a third round result at the Australian Open with an appearance in the second week in Paris. Despite Marterer’s strong run of form, Nadal will have history on his side when they meet for the first time. The Spaniard has reached the quarter-finals in 11 of 13 appearances at Roland Garros and owns a perfect 17-0 mark against German opponents on clay. In fact, he has lost just two sets in total – to Daniel Brands at Roland Garros in 2013 and to Alexander Zverev two weeks ago in Rome. It will be a clash of giants when 6’6″ Del Potro duels with 6’10” Isner on Court Suzanne-Lenglen. The Argentine and the American have combined to launch 111 aces thus far in Paris and the fireworks will continue to fly as they resume their rivalry. Champions at the March Masters events this year, with Del Potro taking his maiden ATP World Tour Masters 1000 crown in Indian Wells and Isner following suit in Miami, the pair are set to battle for the 11th time. In April, the North Carolina native prevailed in straight sets en route to the title at the Miami Open presented by Itau. But while Isner has reeled off consecutive wins over Del Potro, the Argentine will be buoyed by a 6-4 overall edge in their FedEx ATP Head2Head series. There is plenty at stake in the first clay-court meeting between the Top 10 stars. Del Potro is seeking his first trip to the Roland Garros quarter-finals since 2012, as he continues his push towards a Top 5 return. Isner, meanwhile, has appeared in the last eight at a Grand Slam just once in his career (2011 US Open) and will be eager to earn a significant breakthrough. It’s an Italian renaissance in Paris. On Sunday, Marco Cecchinato stunned David Goffin to reach the quarter-finals at Roland Garros. And on Monday, Fognini will have a chance to join his countryman in the last eight. The spotlight will be shining bright on the 18th seed, who takes on Cilic on Court Philippe-Chatrier to conclude Day 9 action. Fognini will face a tall order against the 6’6″ Croatian, as he seeks his first Top 5 win at a major (0-6) and second appearance in the Roland Garros quarter-finals (2011). The only other occasion in which multiple Italians appeared in the last eight at a major was in Paris in 1973 (Bertolucci & Panatta). But as eager as Fognini will be to spring the upset, Cilic is poised to continue his march towards a momentous Roland Garros final, which would see him complete the set of reaching all four major championships. The third seed has turned in an impressive run to the second week, dropping just one set along the way. While the pair have met on three previous occasions, they are completely different players now. Their last encounter came seven years at the China Open in Beijing, after splitting clay-court clashes in Monte-Carlo in 2009 and in Umag in 2011. Anderson has done his homework. The sixth-seeded South African will face Schwartzman on Court Suzanne-Lenglen on Monday, and he knows very well the threat the Argentine poses. It will be a great contrast in styles, as the powerful 6’8″ Anderson battles the agile 5’7″ Schwartzman for a coveted spot in the quarter-finals. One of just two players to reach the fourth round without dropping a set (also Nadal), Schwartzman has been a dominant force throughout his stay in Paris. A 7-5, 6-3, 6-3 dismissal of an in-form Borna Coric secured his best result at Roland Garros and third straight appearance in the second week of a Slam. On the other side of the net, Anderson will be buoyed by a 2-0 edge in their FedEx ATP Head2Head series. He took their lone previous major meeting at the 2015 Australian Open and only clay-court encounter, two years ago in Nice. Also in search of his first appearance in the Roland Garros quarter-finals, Anderson would become the first South African in the Open Era to achieve the feat. Oliver Marach and Mate Pavic have had a sensational season, winning four tour-level titles and reaching two additional finals. And based on their efforts thus far at Roland Garros, the Austrian-Croatian pair shows no signs of slowing down. The Colombians, who captured the Internazionali BNL d’Italia title in Rome two weeks ago and reached the Australian Open final earlier in the year against Marach and Pavic, needed just more than two hours to book their place in the next round. Marach and Pavic are the highest seeds remaining in the draw after Rohan Bopanna and Edouard Roger-Vasselin upset top seeds Lukasz Kubot and Marcelo Melo 6-4, 7-6(1) in the Round of 16. Maximo Gonzalez and Nicolas Jarry moved past Frenchmen Calvin Hemery and Stephane Robert 7-5, 6-3. A day earlier, the Argentian-Chilean team knocked out fourth seeded Jamie Murray and Bruno Soares. 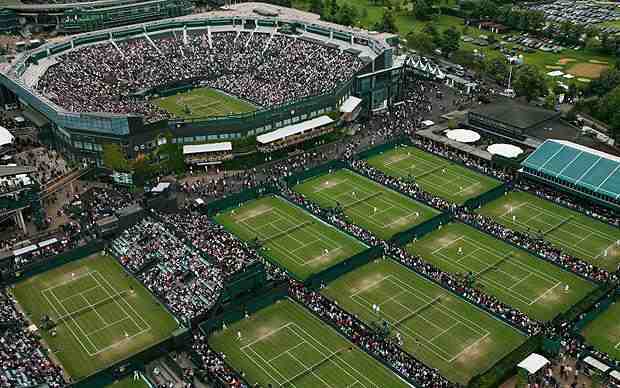 Gonzalez and Jarry will either meet Pierre-Herbert Hugues and Nicolas Mahut, or Americans Steve Johnson and Jack Sock. The sixth-seeded Frenchmen defeated Robin Haase and Matwe Middelkoop 7-5, 7-6(6) in the previous round. World number 72 Marco Cecchinato says beating David Goffin to set up a French Open quarter-final with Novak Djokovic is the “best moment” of his life. The Italian, 25, extended his best run at a Grand Slam with a 7-5 4-6 6-0 6-3 win over the eighth seed from Belgium. Cecchinato will now face 12-time Grand Slam winner Djokovic, who beat Fernando Verdasco 6-3 6-4 6-2. “I will play in the quarter-final with one of the best players in the world, so it is a dream for me,” he said. Cecchinato, who won his first ATP World Tour title at the Hungarian Open in April, has never previously made it beyond the first round of a Grand Slam. But he has now knocked out two top-10 seeds to reach the last eight at Roland Garros, having also seen off Spain’s Pablo Carreno Busta in the third round. Cecchinato, who moved back into the top 100 after winning in Budapest earlier this year, says his run at Roland Garros is down to his improved concentration. “Now I start every match focused and stay focused on every point. I think this is the different from before,” he said. Cecchinato was banned following allegations of match-fixing at an ATP Challenger in Morocco in October 2015, but saw his 18-month suspension overturned after a successful appeal to the Italian Olympic Committee. He refused to talk about the subject when asked about it by the media after his victory over Goffin. Before arriving in Budapest at the end of April for the Gazprom Hungarian Open, Marco Cecchinato had won just five of his first 34 tour-level matches. Little did the Italian know that he would go on to capture his maiden ATP World Tour title on the red clay as a lucky loser. 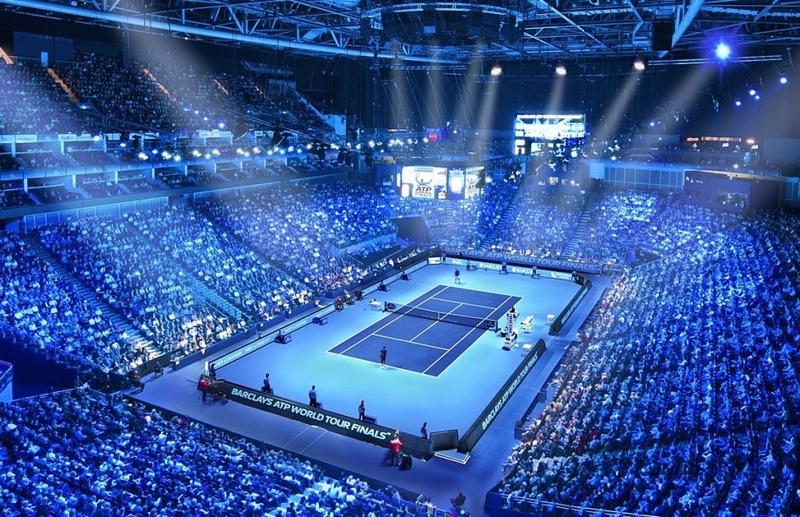 “Maybe it is a dream,” Cecchinato told ATPWorldTour.com at the time. Little did he know what would come in the weeks ahead. When the World No. 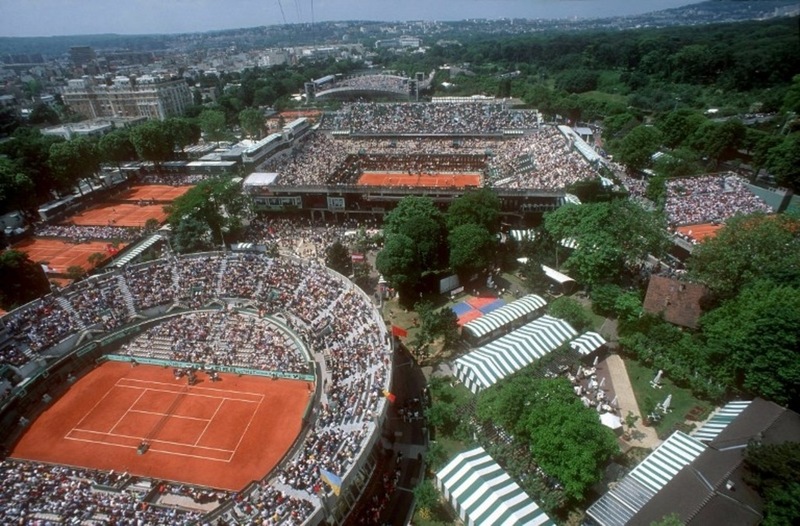 72 began his Roland Garros campaign, he had never won a Grand Slam main draw match. But after defeating reigning Nitto ATP Finals runner-up David Goffin in four sets on Sunday, Cecchinato advanced to the quarter-finals. Amazingly, the 25-year-old has quadrupled his tour-level win total this year. And now he has made history, by becoming just the second Italian man to reach a major quarter-final since Davide Sanguinetti did so at Wimbledon in 1998. So what has been the difference for the Cecchinato this season? And now, after earning his first win against a player inside the Top 10 of the ATP Rankings, Cecchinato takes on someone who will be competing in his ninth consecutive Roland Garros quarter-final: Novak Djokovic. And while this will be the first match in their FedEx ATP Head2Head series, they are plenty familiar with one another. “I have known of him for many years. I have practised with him many times in Monte-Carlo,” Djokovic said. “He trained a lot where I reside, where I live. We trained a lot on hard court, clay courts. And we actually trained this year before the Monte-Carlo tournament. Cecchinato has nothing to lose — he’s just living a dream. Novak Djokovic strengthened his claims as a French Open contender by reaching the quarter-finals with a straight-set victory over Spain’s Fernando Verdasco. Djokovic, seeded 20th, won 6-3 6-4 6-2 against 30th seed Verdasco. The 31-year-old Serb has reached the last eight at Roland Garros for a 12th time – an Open era record. The 12-time Grand Slam champion will play Marco Cecchinato in the last eight after the Italian upset Belgian eighth seed David Goffin. Djokovic, who won his only Roland Garros title in 2016 to complete a career Grand Slam, was not considered among the pre-tournament favourites following an injury-hit year. “Considering all the circumstances in the last 15 months it is quite an achievement to get to the quarters of a Slam,” said Djokovic, who has also reached the Roland Garros last eight for a ninth successive year. “I always play well at a Slam and always build my form to peak at a Slam. Former world number one Djokovic has dropped down the rankings to 22nd after taking time off with an elbow injury following last year’s Wimbledon. He also needed a minor operation after making a comeback at the Australian Open in January. However, he is quietly going about his business in Paris and has dropped only one set on his way to the last eight. Djokovic may still not playing at the same level as he was at the peak of his powers, but his movement and defensive ability – two of his great hallmarks – look good enough to trouble most opponents. Greater tests than Verdasco, who had beaten Djokovic in three of their previous four meetings on clay but not since 2010, will lie ahead. 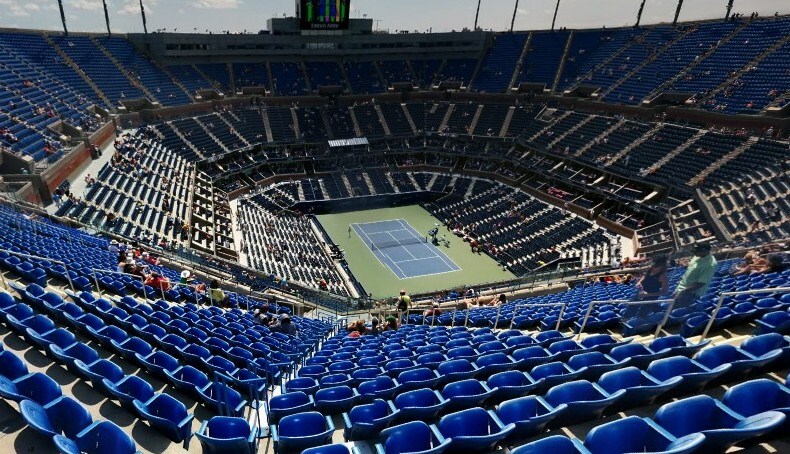 If Djokovic beats Cecchinato he will meet either German second seed Alexander Zverev or Austrian seventh seed Dominic Thiem – who have won more Tour matches in 2018 than any other player – in the last four. He would not face 10-time champion Rafael Nadal – a rematch of the 2012 and 2014 finals – until the final. Djokovic made a slow start in a one-hour opening set, which took longer than the entire match between American Sloane Stephens and Estonia’s Anett Kontaveit that had preceded it on Court Philippe Chatrier. Errors from both players made it an entertaining, if not high quality, opener as they battled it out from the baseline. The Serb broke serve at the first opportunity in the second set, Verdasco wiping out that deficit for 3-3, only to gift it straight back in a poor service game. Verdasco, who beat fourth seed Grigor Dimitrov in straight sets in the previous round, needed treatment for blisters as Djokovic was made to wait before serving out for two-love lead. From that point there was no way back for the Spaniard, who was aiming to reach his first Roland Garros quarter-final at the 15th attempt. The third set was straightforward for Djokovic, who broke at the first opportunity and again in the fifth, before serving out to win in two hours and 25 minutes. “To be able to win that first set and get ahead was crucial. I made that break at 3-1 and held my serve, and that helped because I knew that if we went the distance then I had a good chance,” Djokovic said. Second seed Alexander Zverev came through a third successive five-set match to see off Karen Khachanov and reach the French Open quarter-finals. German Zverev, 21, beat the unseeded Russian 4-6 7-6 (7-4) 2-6 6-3 6-3 in three hours 29 minutes in an enthralling match in Paris. It is the first time Zverev has reached the last eight of a Grand Slam. He will play Austrian seventh seed Dominic Thiem, who beat Japan’s Kei Nishikori 6-2 6-0 5-7 6-4. Thiem, a semi-finalist at Roland Garros for the past two years, has won eight of his 10 ATP titles on clay and dominated on his favoured surface. Japan’s Nishikori made his only break point of the match count to take the third set before Thiem regained control, breaking in the seventh game of the fourth set and sealing victory when Nishikori sent a forehand long. Zverev has climbed to number three in the world rankings despite never previously having gone beyond the fourth round of a Grand Slam, achieved at Wimbledon last year. At 6ft 6in, he has been touted as a future world number one, but glimpses of his potential were interspersed with a failure to close out vital points and a hint of fatigue. Khachanov, 22, is another player with a bright future and looks particularly dangerous on clay. But Zverev fought back from 2-1 down to win the final two sets and become the youngest quarter-finalist in Paris since a 20-year-old Juan Martin del Potro in 2009. “I’m young, so I might as well stay on court and practise a little bit,” said Zverev. “It’s the best, a five-set match. With 20-time major champion Roger Federer opting to sit out Roland Garros, Zverev is seen as the most likely challenger to world number one and 10-time champion Rafael Nadal for the title. “I’m top three in the world now,” he added. “Other young guys are coming up strong – in the end we’ll be very high soon. 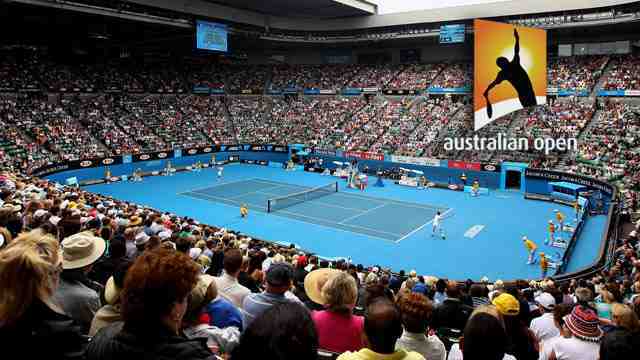 “With time we will see who can become the next Grand Slam champion, who can become the next world number one. It was a brief reprieve as Khachanov’s aggressive volleying tactics earned him a third set-point chance and this time the Russian took it to clinch the opener. Zverev’s class and persistence shone through in the final set as he took an early break and converted match point on Khachanov’s serve. Zverev’s quarter-final opponent Thiem is the last man to beat tournament favourite Nadal on clay, defeating him in straight sets in the last eight of the Madrid Open to end the Spaniard’s run of winning 50 consecutive sets on the surface. But the 24-year-old was then beaten in straight sets by Zverev in the final, and expects another tough match against the German. “It’s the match, especially in Germany and Austria, everybody was hoping for,” said Thiem. “So I think we can make it legendary and that would be very nice. Thiem is also keen to improve on his two French Open semi-finals in 2016 and 2017 this year. If you’re going to break through to your first Grand Slam quarter-final, you might as well do it in style, right? No. 2 seed Alexander Zverev came back from two sets to one down for the third consecutive match on Sunday, defeating Karen Khachanov to set a blockbuster quarter-final against two-time Roland Garros semi-finalist Dominic Thiem. And in doing so, Zverev joined an elite group. The German 21-year-old is the eighth player in the Open Era to survive three consecutive five-setters in Paris, and the first since Tommy Robredo in 2013. He is also the first to win three five-setters in a row at a major since Sam Querrey at Wimbledon last year. It was a long time coming for Zverev, who despite having won three ATP World Tour Masters 1000 titles out of five finals, had never advanced past the Round of 16 at a Grand Slam in 11 previous appearances. It won’t get any easier for this year’s Madrid and Munich champion, who next faces No. 7 seed Thiem. The Austrian is the only player to beat top seed Rafael Nadal on clay in the past two years, and has lifted trophies this year in Buenos Aires and Lyon, although Zverev did beat him to triumph in Madrid. And if he should defeat Thiem in five sets, he would become the first player in tennis history to triumph in four straight five-setters at a Grand Slam championship. Only four players have won four non-consecutively at a major, the last being Albert Costa at Roland Garros 15 years ago. The Monaco resident is not worried about the number of long matches adding up — he has spent 11 hours and 56 minutes on court through four rounds. Zverev, who was 4-5 in five-setters before this tournament, is not content to just break through. Three players in the Open Era have won three five-setters on the Parisian terre battue and gone on to lift the Coupe des Mousquetaires. The German wants to become the fourth. Madison Keys reached her first French Open quarter-final with a 6-1 6-4 win over Romania’s Mihaela Buzarnescu. American 13th seed Keys, the 2017 US Open runner-up, broke serve in the second and sixth games before taking the first set with a powerful forehand. She sealed the win with an ace on her third match point. Sloane Stephens beat Anett Kontaveit 6-2 6-0 to set up a potential semi-final meeting with Keys, whom she beat in the final at Flushing Meadows. “I was really pleased to get out and play some good tennis,” said the US Open champion. American Stephens will face the winner of second seed Caroline Wozniacki’s fourth-round match against Russia’s Daria Kasatkina, which takes place later on Sunday. Keys will play Yulia Putintseva in the last eight after the Kazakh beat Czech Barbora Strycova 6-4 6-3. Great Britain men’s team suffered a 2-0 defeat in the wheelchair tennis World Team Cup final in Apeldoorn, Netherlands. Former Wimbledon champion Gordon Reid lost the opening match to Takashi Sanada 2-6 6-3 7-5 before French Open champion Alfie Hewett went down 6-2 6-3 to Shingo Kunieda. In the women’s event, Britain won bronze with a 2-0 success over France. Louise Hunt and Lucy Shuker won their matches to seal victory. Alexander Zverev reached his maiden Grand Slam quarter-final on Saturday, defeating Russia’s Karen Khachanov 4-6, 7-6(4), 2-6, 6-3, 6-3 at Roland Garros. The 21-year-old won his third consecutive five-set match to defeat the World No. 38 and become the youngest Roland Garros quarter-finalist since Juan Martin del Potro (20) in 2009. Zverev also came from two sets to one down to beat Dusan Lajovic in the second round and recovered from a two-set deficit, saving match point, to beat Damir Dzumhur in the third round. Zverev fired 63 winners, including 17 aces, to become the seventh German man in the Open Era to reach the last eight at Roland Garros. The German has now won 34 tour-level matches this season (34-8), two more than his nearest rival; Dominic Thiem (32). In his three most recent tournaments before arriving in Paris, Zverev won back-to-back titles at the BMW Open by FWU and the Mutua Madrid Open before falling to Rafael Nadal in the Internazionali BNL d’Italia final. The World No. 3 will meet Thiem for the seventh time at tour-level, for a place in the semi-finals. Zverev trails Thiem 2-4 in FedEx ATP Head2Head meetings, but won their most recent encounter in May’s Mutua Madrid Open final. After trading breaks in the opening two games, Khachanov pounced in the 10th game to clinch the first set. The Russian missed out on two set points at 4-5 (15/40) on Zverev’s serve, but converted his third as he moved up the court before forcing an error from his opponent. Zverev responded well in the second set, breaking to love at 3-3, but was forced into a tie-break after failing to serve the set out with three set points at 5-4. After dropping the second set in the tie-break, Khachanov quickly re-established his one-set lead with a dominant third-set performance. Khachanov broke in the third and fifth games, and won 86 per cent of points on his second serve to move one set away from a landmark victory. For the third consecutive match, Zverev knew that he would need to win in five sets to stay alive in the tournament, and he gave himself a lifeline with a break of serve in the sixth game. After saving two break points at 2-2 (15/40), the German capitalised on back-to-back errors from Khachanov to take a 4-2 lead, before taking the match into a fifth set, with his 14th ace, three games later. Zverev secured an immediate lead in the fifth set, winning consecutive points off his backhand wing to break for 1-0. The German No. 1 maintained that advantage throughout the set, before clinching his place in the quarter-finals with his fifth service break of the match. Alexander Zverev (21 years, 51 days) and Karen Khachanov (22 years, 20 days) were competing as the two youngest players remaining in the men’s singles draw at Roland Garros.